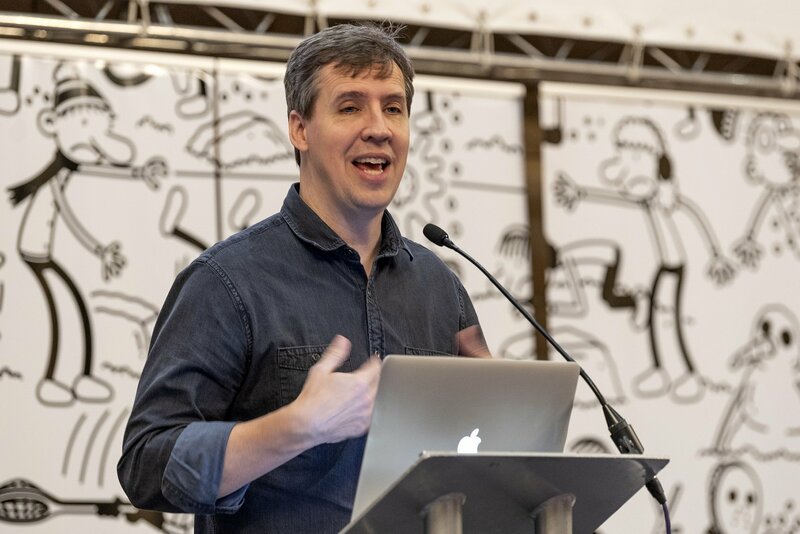 Last week we teamed up with Penguin Random House to host an exclusive schools event with the world-famous Diary of Wimpy Kid author Jeff Kinney, as part of our Read North East campaign and Jeff’s global tour for the thirteenth book in the series Diary of a Wimpy Kid: The Meltdown. 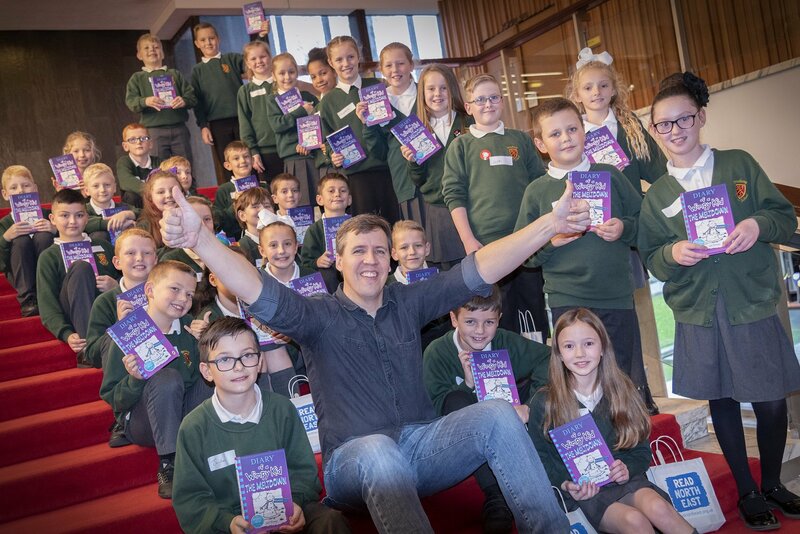 600 pupils from local schools were treated to an interactive event with the much-loved author at Newcastle Civic Centre. 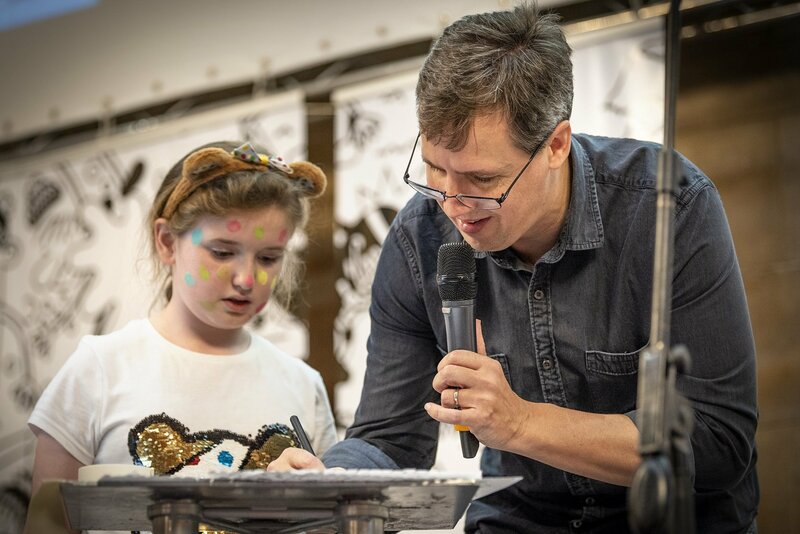 Children had the opportunity to hear about Jeff’s writing process and his travels around the world, learn how to draw his famous character Greg Heffley, pose their own questions to Jeff and take part in other fun activities inspired by the new book. Each child was also gifted a copy of the The Meltdown to take home. 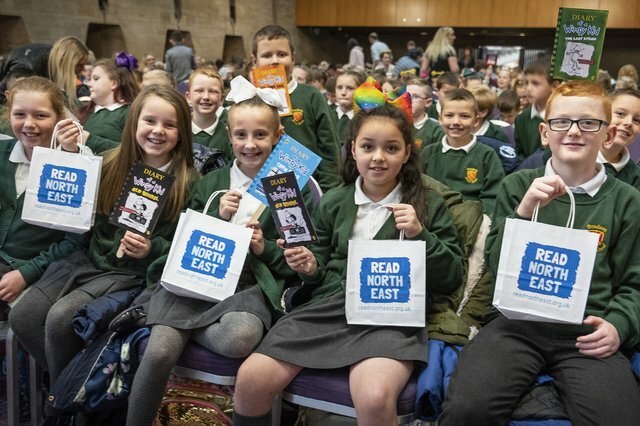 Our research shows that while 72% of children ages 8-18 in the North East enjoy reading, only 40% say they read every day outside class. There is also a significant gap between the number of boys and girls who enjoy reading (69% of boys, compared with 78% girls). The charity hopes the event will inspire more boys in particular to fall in love with books and read more at home. Over 10 million copies of the Diary of a Wimpy Kid series have been sold in the UK. 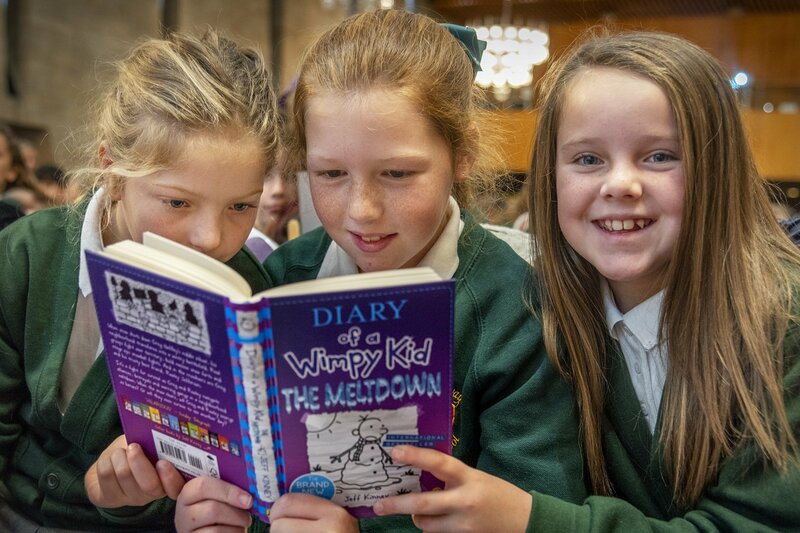 The thirteenth title in the series, Diary of a Wimpy Kid: The Meltdown is currently top of the children’s fiction charts. 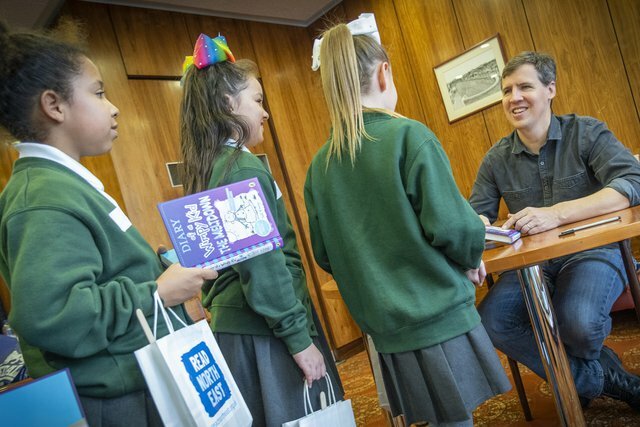 The event with Jeff Kinney comes after pupils across the region took part in a Diary of a Wimpy Kid comic book competition earlier this term. The competition asked pupils to design their own three-panel comic strip inspired by those that appear in Jeff’s books, about something funny that happened when returning to school after the summer holidays. The lucky competition winner, Jayden Anderson from Broadway Junior School in Sunderland, joined the event and had the chance to meet his hero along with his classmates. Following the success of the competition for schools the North East, we've launched a nationwide competition with Penguin Random House entitled Wimpy Kid Diary Writing Competition. Inspired by Diary of a Wimpy Kid: The Meltdown, in which a snowstorm shuts down Greg Heffley’s middle school and turns his neighbourhood into a wintry battlefield, the competition challenges children aged 7 to 12 from across the UK to write a 500-word diary entry about the most exciting snow day they have ever had or could possibly imagine. Prizes include a Diary of a Wimpy Kid: The Meltdown print signed by Jeff Kinney, £100 worth of Puffin Books and £500 worth of Puffin Books for their school library. 10 runners-up will each receive a signed copy of the book.